The dust is beginning to settle. The Hating Crackheads have been vanquished in the West and small skirmishes continue across the lands. Yet as a whole, things have begun to calm down. Unfortunately, to reach this period of peace we have had to wade through a river of blood. As the Chronicle discussed last week, The Hating Crackheads found themselves at odds with the Knights Templar and their sub leagues. Sadly, this was not all the blood that was to be shed with the ending of the Beacon Wars. Two more leagues were fated to clash before peace returned. On one side, the Spiders, a league we have highlighted in the past on the Chronicle for the great gains they made during the Beacon Wars and the vast lands they obtained. On the other, Die Blutige Horde, a league that is carving out a reputation for themselves as being both aggressive and ruthless. Die Blutige Horde struck out, knowing that the Spiders beacons were scarcely defended. 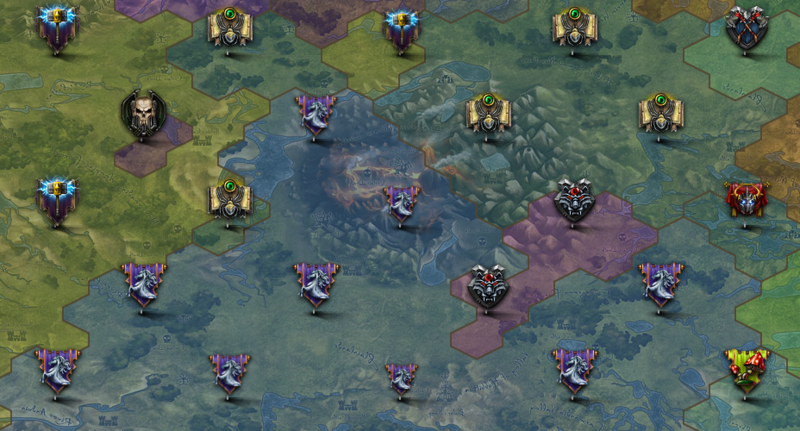 One after another they tore their way through the lightly defended lands of the Spiders, beacon after beacon fell and the lands in the Southwest quickly saw the banner of the Horde flying high. This would not last. Seeing their allies fall, We Are Romania took up the charge, striking back against the minions of the Horde and their armies. Just as beacon after beacon fell to the advancement of the Horde, so too did they relinquish control to We Are Romania and their revengeful onslaught. After a day of high pitched battles, the Horde was thrown back from the lands, licking their wounds, but with much of their might still intact. As the clouds began to part, the lands were changed, and a new banner fluttered high in the wind. As can be seen from the image above, We Are Romania continues to hold the lands lost by their allies, the Spiders. For now, it looks like it will remain this way, as the Spiders will need time to heal their wounded and rebuild their strength. We Are Romania remains vigilant, aware that the Horde could strike once again, without notice, or warning at anytime.